Koh Samui has 2 branches in Ipoh, and one of them is located right across Kinta City, otherwise known as Jusco to the locals. 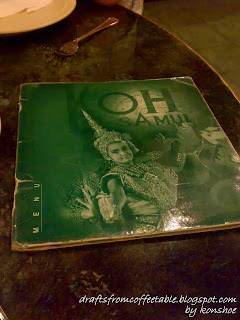 Ipoh may be known for its food, but famous Thai cuisine is rare here, with this restaurant being one of them. In case if you ever wonder what the name means, try browsing 'Koh Samui' in Google and it will return the name of an island off the east coast of Thailand, known as one of the tourist destinations in Thailand. 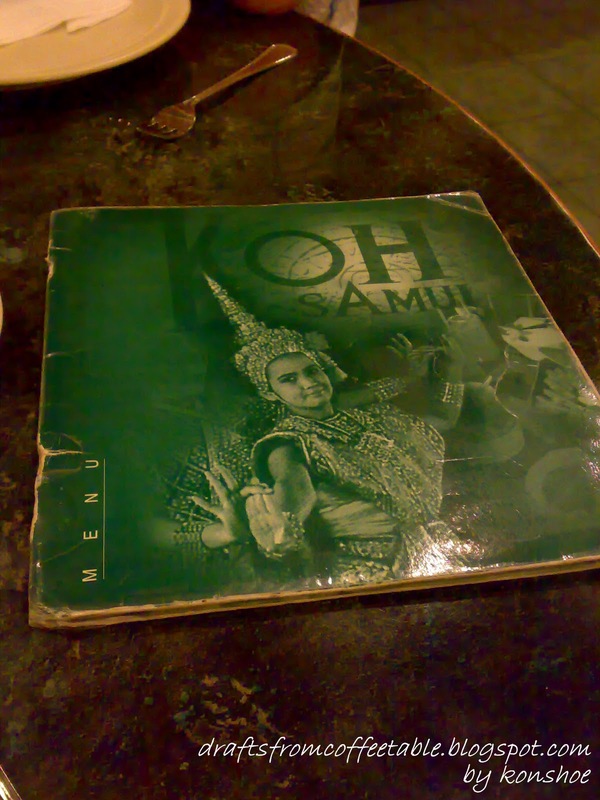 The restaurant greeted its visitors with an interior reminiscent of traditional Thai architecture. Wood was the main element here, with wooden chairs and wooden ceiling reinforcing this concept. Green was chosen as the main color, and it looked soothing under beams of yellow light shining from the ceiling, offering a feel that you are dining under the setting sun.